Sounds spooky! 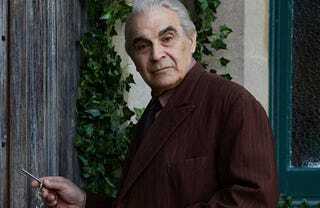 David Suchet’s introduction to the world of Doctor Who can be listened to with a special surround sound effect for headphones. Knock, Knock (Who’s there) will be broadcast on May 6. Please note: a special binaural audio edition of this episode will be available on BBC iPlayer immediately after it is broadcast on TV. This creates a 3D surround sound effect for anyone wearing headphones, placing them at the heart of the action in this nail-biting episode.